When you come for a stay with the family, you want to be assured that the children are safe and sound in an interconnecting twin room, while still being able to close the door of the double room with larger bed. 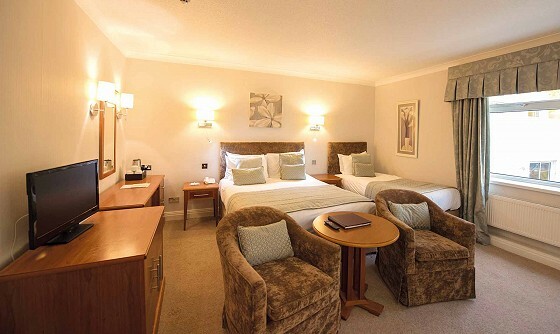 That’s what we offer here at Saunton Sands Hotel, with our Inland Family Suites, at an affordable price. Sign up the kids for Breakfast Club and the Pyjama Party and they’ll get collected from your room, so you can enjoy a lie-in, early morning swim or even breakfast in bed!